The final weekend was a busy one for us Tiny Shantiers. We had many guests in our shanty, creating an abundance of tiny art for us to display. Out of town visitors brought in some new energy and excitement. We were able to show them the world we’ve created and the town on ice we’ve been sharing for the last month. 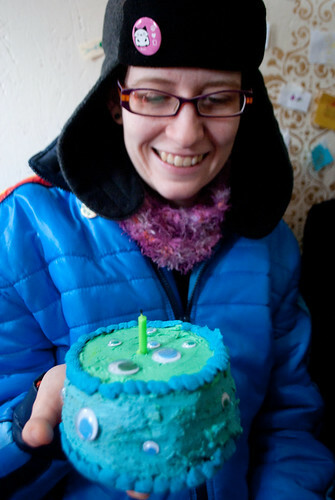 We had another tiny birthday party, with tiny birthday cake filled with googely-eyes. We had a Tiny Watlz Extravaganza, complete with tiny dance cards. Each waltz lasted 30-40 seconds. Last minute guests joined in and danced, even without tiny dance cards. Our shanty was filled with wonderful chaos. To close the weekend, we had our Tiny Fire Arts Festival. I, Cali Mastny, spent many hours inhaling fumes and gluing my fingers together, to create Tiny Paul Bunyan. He stood just over 2 feet tall. 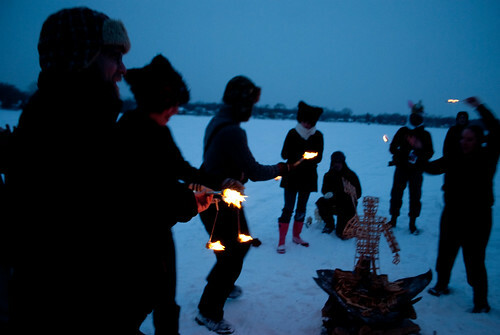 We were lucky to have the creator of Balsa Man was in town for our tiny regional burn. 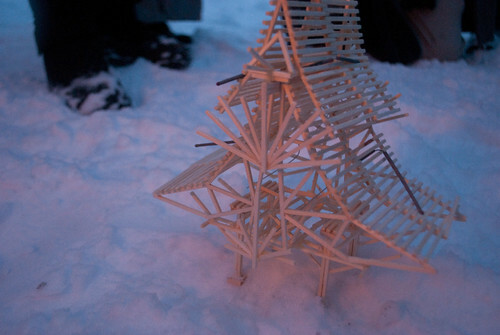 Just before the burn started, we were awarded a tiny check for $20 from Balsa Man creator Colin Fahrion. We filled the lumberjack with lots of tiny fireworks. 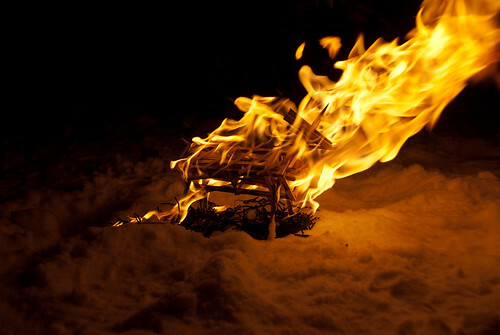 Tiny matchstick men, courtesy of Felix, took their place around Paul Bunyan, ready to burn. 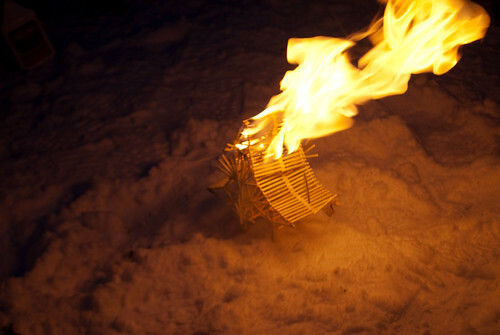 The festivities started with a Tiny Fire Conclave with tiny poi and staffs, along with some tiny drums. Then the little lumberjack’s fireworks were lit. He went up rather quickly! A tiny burn indeed! After Paul burned, it was time for the tiny temple: Temple of Modest Abilities, by David JustOK. Then a much more uplifting burn: Tiny Dangles by Rock Candy. And to round out the evening: Scornicorn, by Rubin. 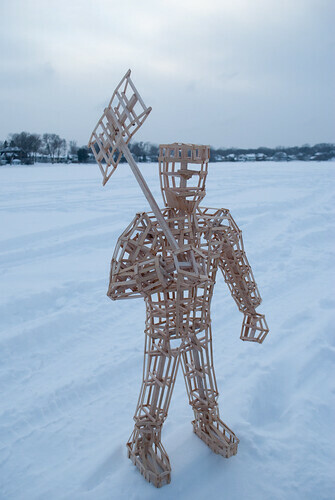 A burn report from the Balsa Man Blog, complete with video! A wonderful end to a month filled with tiny things. Thanks to everyone who encouraged, visited, contributed to helping make our tiny dream come true. 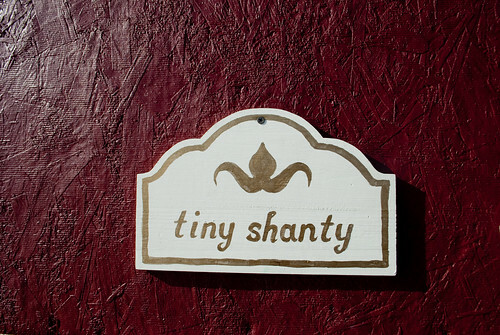 You are cordially invited to join Tiny Shanty in closing the 2010 Art Shanty Projects with a (tiny) bang! We will be hosting a Tiny Regional Burning Art Festival. Please invite your friends and family to join us. 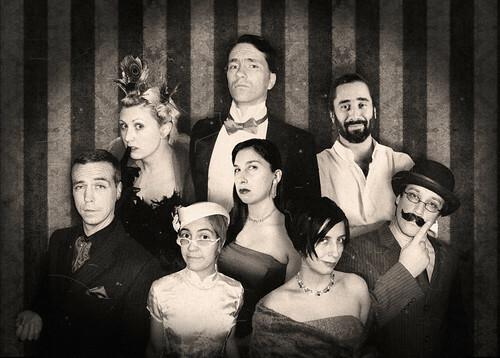 Where: On the ice, near Tiny Shanty’s Great Mansion, on the outskirts of Shantytown. 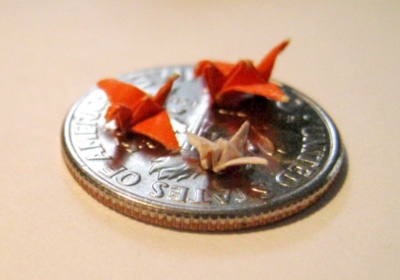 What: A tiny art festival dedicated to the great art of small proportions. 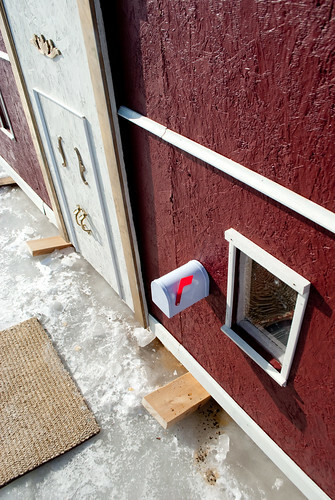 Take a stroll through our tiny (frozen) garden of art, and then join us for the burn. We will set afire an approximately two foot tall figure of art, appropriate to Minnesota, as well as any other tiny art people would like to burn. If you would like to contribute something to this art festival, please have it ready by end of day Sunday and check in with someone at Tiny Shanty. Also, to keep it in scale, it should be smaller than the main figure. This is a regional event of the Balsa Man Festival. See http://balsaman.org/ for more details and inspiration. It was a lovely weekend on medicine lake. 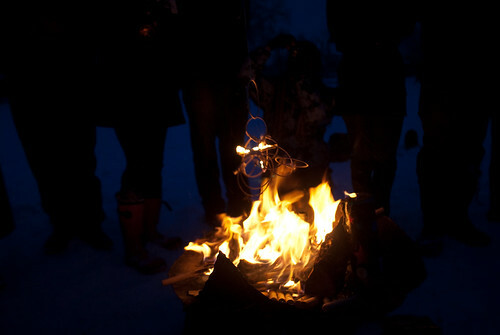 The cooler weather was good for the ice and allowed us to have a cozy fire without it getting too warm in our shanty. Unfortuantely the previous melting caused a bit of an ice-rink in our front yard. Visitors were undaunted and joined us for tiny tea and art making. 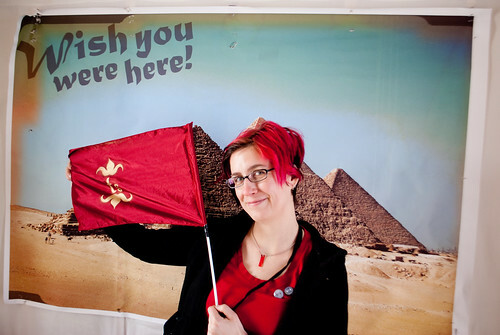 Also I managed to take a Staycation and plant our Tiny Shanty Flag in Egypt! And we received a wonderful present from Shop Shanty! 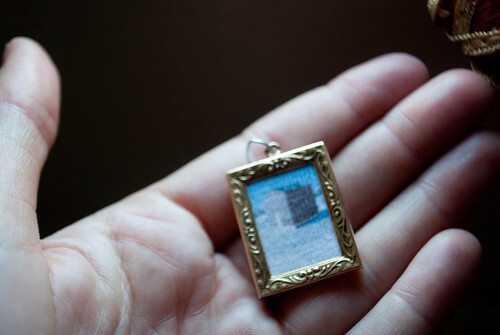 A tiny portrait of our Tiny Shanty! So cute and wonderful! Thanks Shop Shanty! One of our shanty crew has been doing some tiny paper folding.. It was a rather sudden change from spring weather to winter this monday. On Sunday, we were told to put blocks of wood under our skis before the cold hit, so our skis didn’t wind up stuck in the frozen lake. 2am Monday morning it was still about 30 degrees, so we felt ok about doing it at noon. Turns out a lot can change in 10 hours. It was close to 20 degrees, but the wind made it feel much colder. 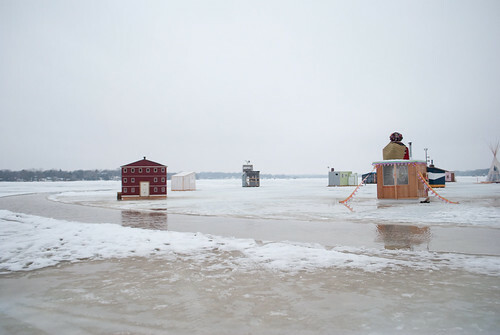 When we arrived, Tiny Shanty was already partially frozen into the ice. Luckily it wasn’t frozen entirely solid and one crew member brought some crow bars to pick at the ice. We picked free the skis as well as we could, then used a big 4″x4″ bar of wood and a log to lever it up. We were barely able to lift it with our weight, but eventually managed to get it up just enough to jam some boards under. Success! 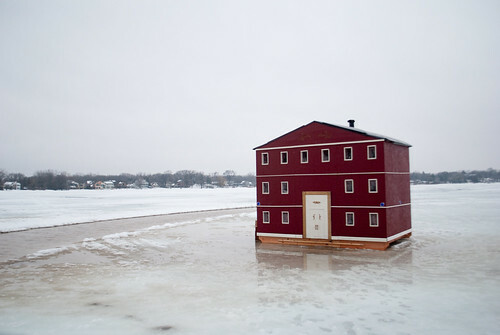 Tiny Shanty will not be a permanent lake fixture. I wanted to get photos, but the cold made me only able to focus on completing the task at hand and getting back to warmth. Ah well. Upper 30s + frozen lake + rain = need for galoshes. The unseasonably warm and suddenly rainy weather has made this a wet shanty weekend. Last weekend was so sunny and warm and beautiful.. sadly warm is not what we really want when we are on a frozen lake. Not for too long, at least. Saturday it was wet, but managable. 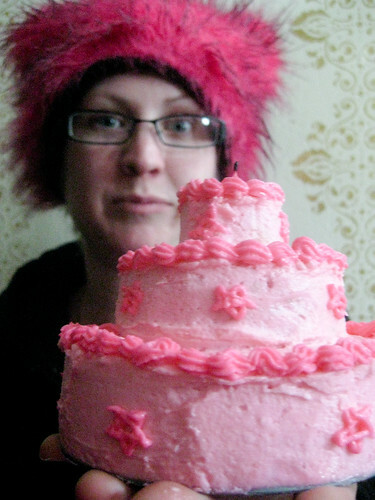 We had a tiny birthday party for Rachel, one of the ts crew.. complete with tiny 3-tiered cake! 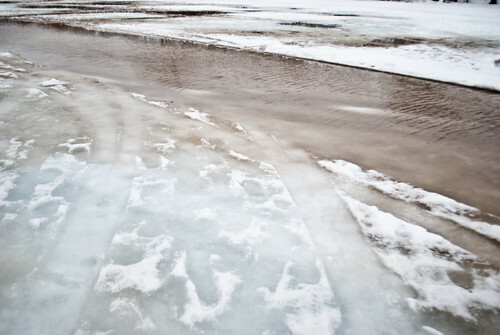 By Sunday, the road around the shantytown had turned to a river, complete with current. Many of the shanties had leaks and most are in standing water and slush Luckily people built them on skis, so i think most of the water stayed outside. 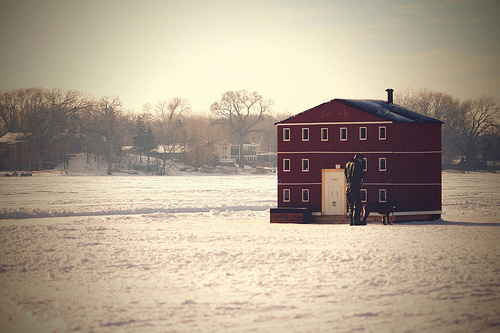 Tomorrow we have to put our shanty up on blocks to keep the skis out of the water when it freezes tommorrow night. Tiny Shanty stayed warm and dry inside. Well, the floor was still wet, but we had a mop to keep it from getting too out of hand. There were many lovely visitors to keep us company and create tiny works of art and literature. Not nearly as many people out as the first weekend, but still many more than I would have expected. We ended the day with a tiny dance party with tiny movies playing in the background. Not at all a bad way to spend a grey rainy sunday in January.